VR's very specific set of hardware requirements is already influencing the components that go into your PC. Strapping a pair of virtual-reality goggles to one’s face used to be the province of bad science fiction. 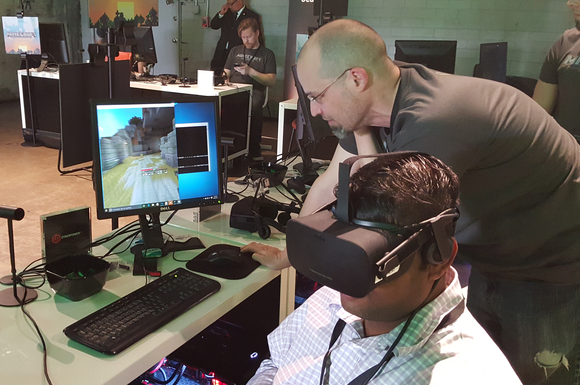 Now, seemingly overnight, VR is here in the real world and dictating the future of the PC. Why? Because virtual reality—and its cousin, augmented reality—is something of a Holy Grail for the PC industry: a device with potentially mass-market appeal, and one that demands premium components that Silicon Valley has historically struggled to justify. Customers and vendors alike instinctively understand how to use VR. And the price, while high, is within reach of most PC buyers. Just as importantly, content creators have seemingly embraced it, helping soothe concerns that VR will be just another product in search of a purpose, like 3D TV. 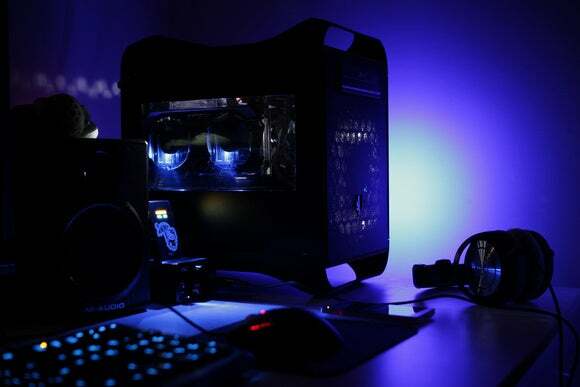 What excites the PC industry most, though, is that while the public thinks of VR as a consumer-electronics device, the technology depends on the PC and its various chips. “We think that the PC will not be just the center of the ecosystem, but on the leading edge of what people do with VR,” said Kim Pallister, the director of content planning at Intel. VR has its roots in gaming, but backers hope it will transcend PC gaming’s niche standing to become a more mainstream pastime. Given that gaming hardware sales should top $26 billion this year, that would be quite a feat. The potential of the new, emerging VR market has chip companies slavering—and that’s why you’re hearing about VR so much. “When you think about AMD, you think about three things: You think about gamers, you think about VR, and you think about VR experiences,” Lisa Su, the chief executive of AMD, said at a GDC press conference. But gaming and VR experiences differ. PC gamers obsess over higher and higher resolutions, and try to balance that desire with “playable” frame rates, 60fps being the standard threshold. But in VR, frame rates aren’t academic: They determine whether you’ll enjoy the experience, or lose your lunch. One of today’s high-profile VR headsets, the HTC Vive allows “roomscale,” mobile VR, albeit while tethered to a PC. VR headsets like the Oculus Rift and the HTC Vive are locked at a 2160x1200 resolution, at 90Hz. 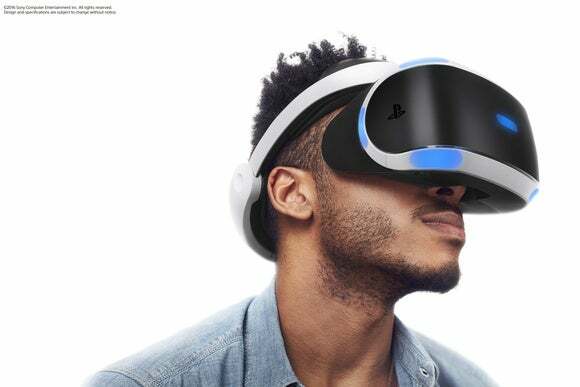 That makes achieving 90 frames per second an absolute requirement for VR: Input that drops below that will cause the VR images to jutter and stall, creating “simulator sickness.” It’s enough of an issue that Oculus reportedly handed out a list of “barf-o-meter” ratings for its games at a recent press event. I can attest that even Minecraft, a relatively sedate game, gave me vertigo. That 90fps minimum will ripple through the industry, executives say. “It’s going to absolutely influence chip design,” Frank Soqui, the general manager of the enthusiast desktop group at Intel, said in an interview. 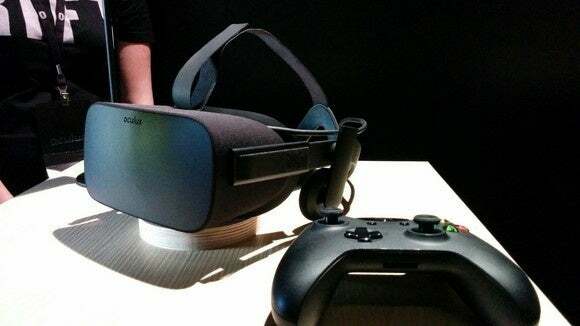 The Oculus Rift, now owned by Facebook, was the VR device that first captured the imagination of gamers. Since GPUs from either AMD or Nvidia can be used to power VR, each company has begun positioning itself as the premier VR hardware partner. Nvidia’s VRWorks technology uses multi-resolution shading to avoid rendering pixels that aren’t viewable by the user, and warps the image to make it more comfortable to view with a VR headset. AMD has its own technology, known as LiquidVR, which also performs image warping. Both AMD and Nvidia are also encouraging PC makers to consider using multi-GPU rendering, with each GPU’s output sent to each eye’s display. 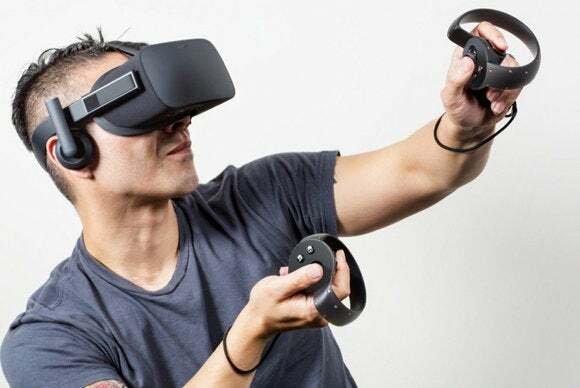 To ensure that consumers receive the best experience—and to establish their respective hegemonies—Oculus and Intel have each begun releasing their own “VR Ready” certifications. Last year, Oculus released its minimum specs for an acceptable VR experience. The first Oculus Rift-PC bundles rolled out a month ago, at prices that begin at $1,500. That might be tough for consumers to swallow, but those are the sort of prices that propped up the PC industry for years. We often talk about VR devices, like the Rift, and AR devices, like the HoloLens, in the same breath, but the two are very different things. VR headsets are more like external displays, with some intelligence inside them to track where a user looks; they’re powered and driven by a desktop PC. 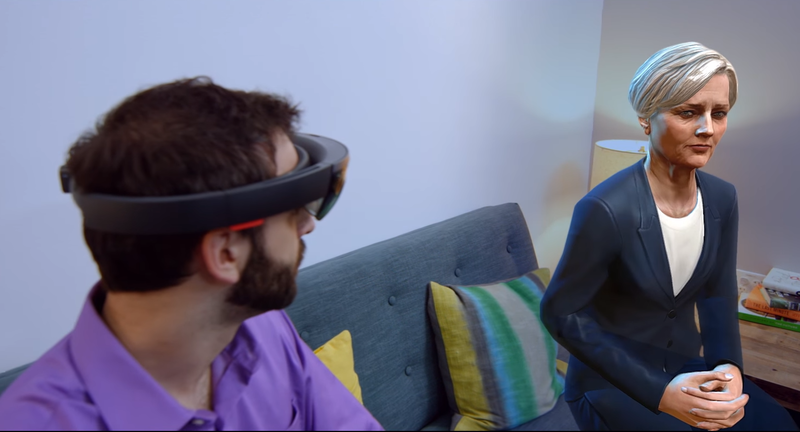 AR devices, like Microsoft’s HoloLens, roam without a power cord, but they place all their computing power—as well as a battery—on the user’s head. VR will remain the domain of the desktop gaming PC, repurposed for VR. Of course, this bifurcation is nothing new to the PC industry, which has built portable laptops and more powerful desktop workstations for years. Some believe that AR devices will evolve like laptops, with an emphasis on mobility and battery life, while reserving their limited compute power for the handful of virtual objects the AR environment demands. VR headsets, on the other hand, will have the horsepower to render a complete detailed virtual landscape, but chances are you’ll be sitting at your desk or couch to enjoy it. CPU and GPU vendors aren’t saying yet if they’ll develop optimized VR chips, or simply adapt what they already have. And it’s unclear whether headsets will sport a traditional X86 chip or a mobile chip like Qualcomm’s Snapdragon. Naturally, other mobile technologies, like the 4K displays built into phones like the Samsung Xperia Z5 Premium, make sense: When a display is strapped three inches from your eyes for possibly hours, you’re going to want the best available. Intel’s Soqui and representatives from other chip makers say they see AR and VR technologies eventually meeting in the middle. 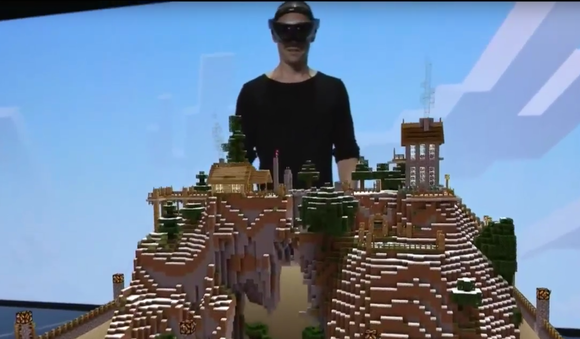 We’re already seeing signs of that, as with the HTC Vive, which includes basic AR capabilities. Intel’s vision goes further: Soqui says Intel believes it can eventually “tether” a VR device to a PC by streaming gobs of data across a wireless link—even knowing that latency has to be avoided at all costs. Whether it be AR or VR, the future of the industry is a physically untethered experience. How will Intel do that? Soqui declined to comment. But Intel has already launched a wireless dock that supports the new 802.11ad WiGig standard, which can stream a whopping 7Gbps over short distances. Intel and Qualcomm also recently announced interoperability between their respective 802.11ad chipsets. Intel’s goal for “wire-free” PCs has been a little aggressive, but the company believes in the mission enough to build 802.11ad support into Skylake PCs. VR makes the argument for such support even stronger. The only problem: 802.11ad uses 60GHz technology, which can’t really penetrate walls. An “untethered,” wireless VR solution, therefore, will likely require a broadcast point in the same room. VR is surprisingly mature for an industry that hasn’t even actually launched. There’s a “free” option: Google Cardboard, which has even been available in a box of breakfast cereal. 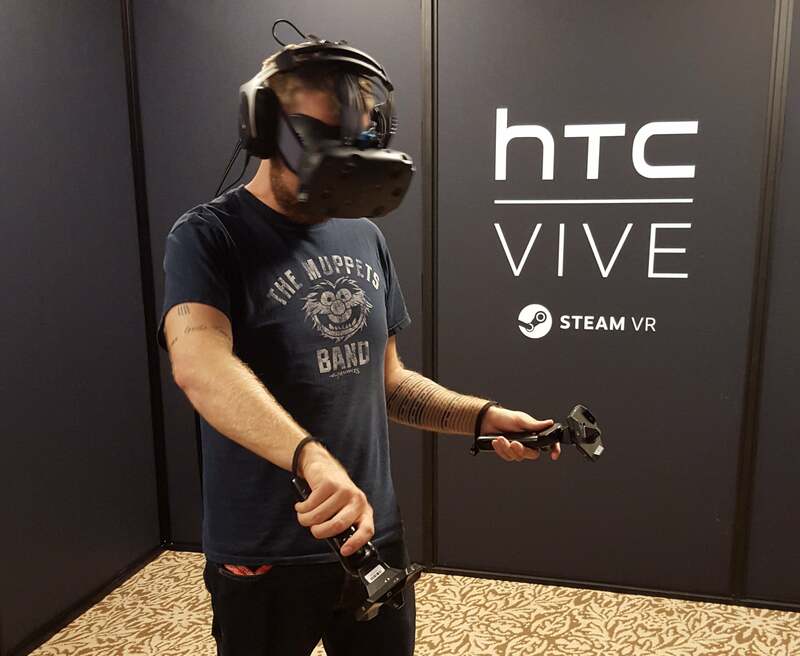 There’s a convenient distribution method: The Vive, co-developed by HTC and Valve software, delivers software via Steam codes. Another 40 or so experiences, apps, and games are available to try out for the Rift. And brands love VR, too. Chuck Peil, head of business development and partnerships at ReelFX, said he was aware of about 30 pieces of VR content that companies like Lucasfilm, American Express, and others had either commissioned or were working on. There’s even a rivalry between the two leading VR camps: Vive and Rift. Jean-Michel Blottiere, executive director of an animation conference at Germany’s Filmakademie Baden-Wurttemberg, said that developers interested in telling a story seem to be leaning toward the HTC Vive, favoring the freedom that the headset allows within a virtual space. What all this means is that there should be a viable ecosystem of apps and content, enough to help keep early VR adopters interested. As products like Microsoft’s Lumia smartphone have shown us, without apps, users will wander off. Sony may have launched—and quickly sold out of—its PlayStation VR preorders, but the PC seems to be well-positioned to capture the market. That’s because consoles like the PlayStation 4 are already several years old, while PCs can be constantly refreshed. Sony’s PlayStation VR depends on the console to power it. Over time, the PC will gain more and more processing power, making it an attractive alternative. It’s also the sort of challenge that has the PC industry smacking its lips. Of late, the PC industry has put forward a tired old argument that says hundreds of millions of PCs are five years old, and PC owners really ought to upgrade with new components. With VR, this argument becomes more compelling since it means a customer can actually do something new with his or her machine.